On September 6th, 2017, Hurricane Irma devastated the islands of St Thomas and St John when it hit as a Category 5 storm. Two weeks later, Maria showed her wrath on St Croix, leaving all three islands desolate and isolated with limited resources and no electricity. 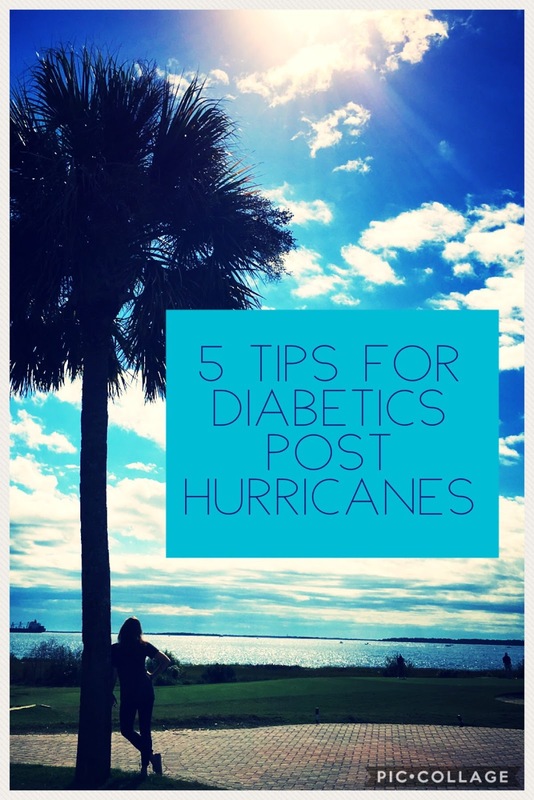 As the islands struggle to recover, many individuals with chronic disease are facing challenges managing their health, particularly diabetics. 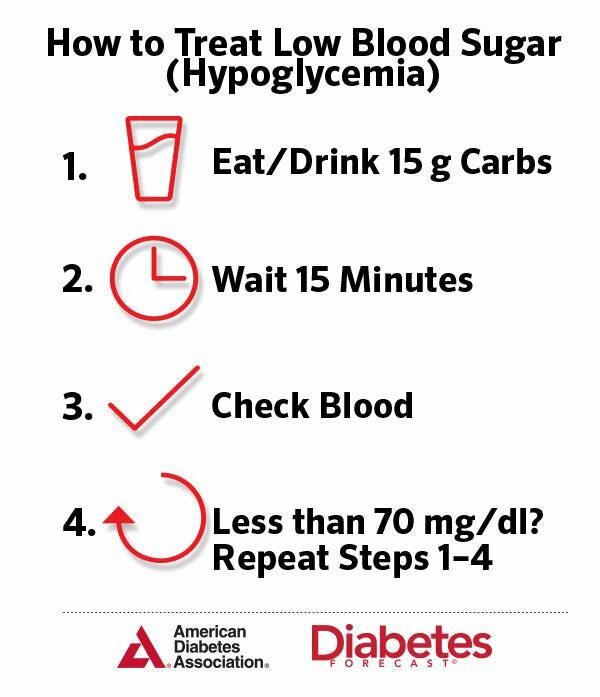 If you are struggling to keep your diabetes under control, follow these 5 tips to manage your blood sugar. Stay Strong VI! 1. Check your blood sugar regularly and take your medications as prescribed by your doctor. Taking your medication as your doctor directs is very important. Everyone with diabetes should be checking their blood sugar at least once per day; I recommend first thing in the morning. This is called your “fasting blood glucose level.” If you are taking insulin, it is important you check your blood sugar before meals. Your insulin may need to be adjusted if your blood sugar is consistently too high or low. Recording your blood sugars in a log can be a useful tool to help your doctor, and your dietitian! This lets you see if your blood sugar is being well controlled and how to make adjustments as needed. Tips for keeping your insulin cold! 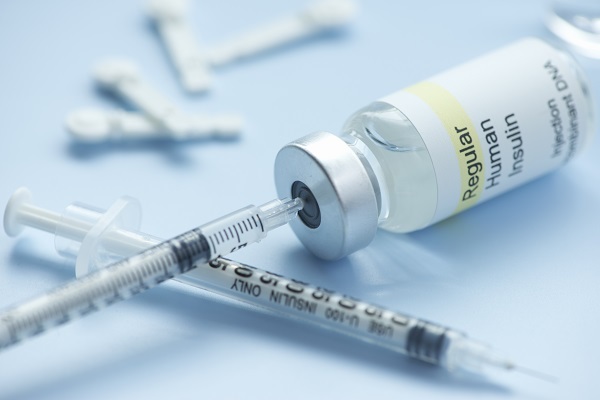 It is important to keep your insulin stored at the proper temperature so it continues to work. Without electricity and dependence on generators, many of us are struggling with refrigeration. I recommend keeping your insulin in its own insulated container, such as a lunch box or small cooler. If you do not have electricity, you may be dependent on ice to keep your insulin cold. Keeping it in its own, small, well insulated container, and limiting the number of times you open it, will help keep the ice frozen and the insulin colder for longer. If you have a working generator, but are only running it during limited hours, keep your insulin in the freezer. Leaving your insulin in the freezer should keep it cold the whole day as long as you are running the generator long enough for the temperature inside to get below 40 degrees. Avoid opening the freezer during the hours when your generator is off. This will keep the temperature inside the freezer from dropping more than a couple degrees every few hours. 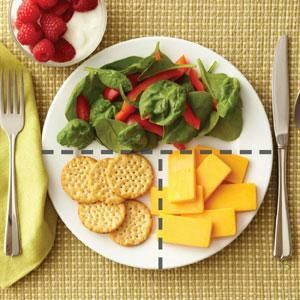 Eating 3-4 balanced meals with 1-2 snacks in between each day will help prevent your blood sugar from going too low or too high. 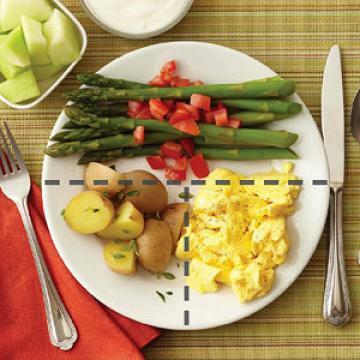 Using the plate method for modeling your meals can help control blood glucose by providing the appropriate proportion of carbohydrates at every meal. 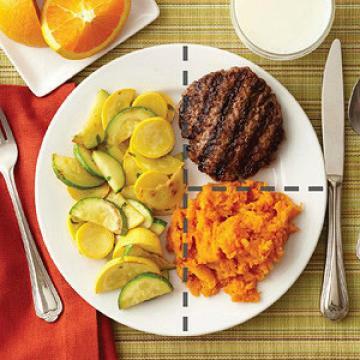 To do this, divide your plate in half, and then divide one half in half again. You will now have 3 sections on your plate. Fill half your plate with non-starchy vegetables, such as broccoli, green beans, carrots, squash, onions, peppers, asparagus, or cauliflower. Vegetables are naturally low in calories and carbohydrates. Additionally they are high in fiber, vitamins, and minerals. I also like to note that vegetables contain some protein, so if you eat enough you can meet your daily protein needs without consuming meat products at every meal! Next, assign one 4th of your plate for your protein, such as chicken, beef, cheese, tofu, and fish. These foods contain no carbohydrates, but can be high in calories and fat. Proteins with BREADING contain carbohydrates and should be limited. I recommend sticking to lean proteins, such as chicken or fish. When purchasing meats look for selections containing the least amount of fat. Cheese goes in this section as well. When milk is processed to make cheese, the sugar is taken out, and most cheeses contain little to no carbohydrates. Animal proteins, like meat and cheese, tend to be high in saturated fats that may lead to cardiovascular disease when eaten in excess (Sacks et al, 2017). You may want to choose plant based proteins, such as tofu or tempeh, instead. Beans and legumes are high protein plant foods, but they contain complex carbohydrates and are included in the next section of the plate. 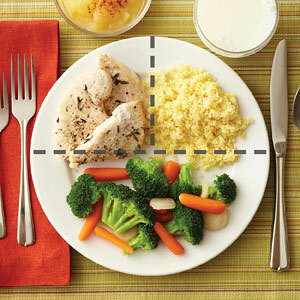 The last section on your plate is for your carbohydrate or “starchy” food such as rice, pasta, or bread. Try to choose whole grain food at least 50% of the time. Whole grains are high in fiber as well as other nutrients such as niacin, riboflavin, folate, and minerals. Increasing the fiber in your diet, not only aids in controlling diabetes, but has been shown to help lower “bad”, or LDL, blood cholesterol levels (Mackowiak et al, 2016). Starchy vegetables, such as potatoes, corn, peas, and beans are included in this section of the plate. One the side, have 1 serving of fruit and/or 1 cup of yogurt, milk, or milk substitute. Fruit and dairy products, such as yogurt and milk, contain natural sugars and should be eaten in moderation. Limiting one serving of each at every meal is a way to keep your blood sugar well controlled. It is important to note, that while fruit does contain sugar, it is also high in fiber, vitamins, and anti-oxidants which are beneficial for your health. Dairy can be a good source of protein as well as calcium and vitamin D. Additionally, yogurt and other probiotic-containing dairy products may be beneficial for improving gut health and treating IBS, however, research is just beginning in this area (Sanchez et al, 2017). 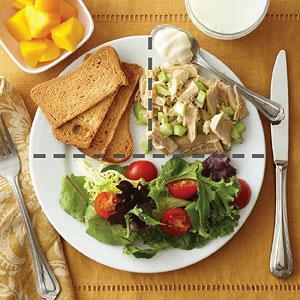 Check out Diabetic Living Online, for more meals ideas using the plate method! Exercise lowers your blood sugar. If you find you are having consistently high blood sugars, increasing your physical activity may help to improve your control. In this post hurricane world, we have the opportunity almost daily to take part in one of the best forms of exercise, manual labor! Forget going to the gym (unless that’s your thing, then gym it up! ), all you need to do here to get in a work out is start fixing up your house, help move debris from your neighbors yard, or volunteer for community clean-up efforts to restore our amazing beaches! 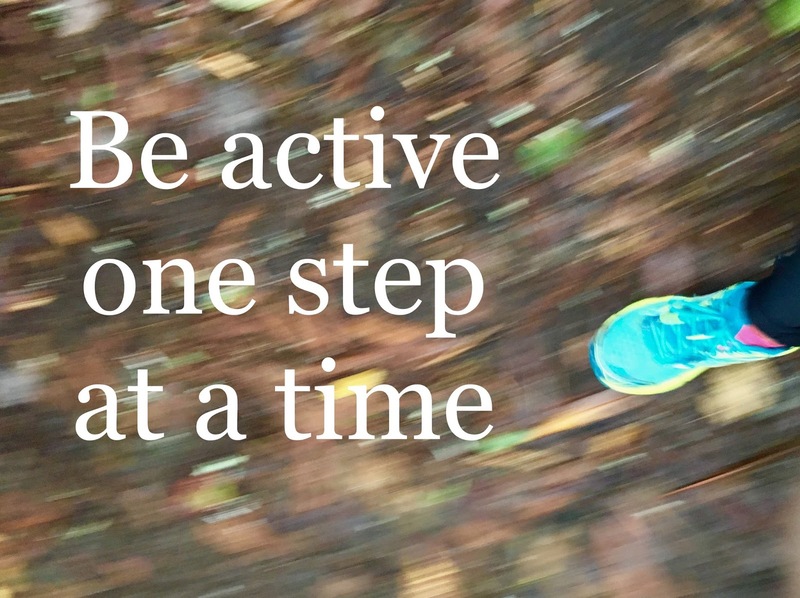 There are so many opportunities to be active in our daily lives! Again, you don’t have to go to the gym and lift weights to live an active lifestyle, you just need to get up everyday and commit to being active and go out! For some of us, finding an active hobby, like bicycling or team sports, may help provide motivation. For others, walking and even housework, such as cleaning, gardening, and laundry, can help burn calories and lower blood sugar levels. Low blood sugar, or hypoglycemia, occurs when our bodies do not have enough sugar to use as fuel. It can be caused by your diet, medications, or exercise. It is important for diabetics to eat regular meals especially for individuals taking insulin. Skipping meals or eating at a later time than usual may lead to low blood sugar. If you are being more active than usual working to rebuild your home or business, you may find your blood sugar is going low more often. Signs of low blood sugar include weakness, light-headedness, shaking, sweating, confusion, hunger, irritability, nausea, and vomiting. Extremely low blood sugar may even cause an individual to pass out, or loose consciousness. If you feel like your blood sugar may be going low, it is important to check it immediately. A low blood sugar is indicated by a reading less than 70mg/dL. It is helpful to write down any times you get a low blood sugar and what you were doing before it occurred. This could help your doctor determine if your medications need to be adjusted. Consult a physician if you have had multiple low blood sugars, without a known cause, in less than one week. your previous meal and your blood sugar is below 200mg/dL. 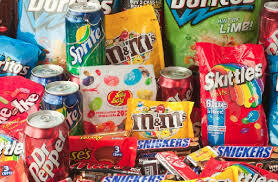 Photo from febfast.org, What is Junk Food? Unless you have a low blood sugar, you want to avoid eating too many foods that contain added sugars or refined carbohydrates. Chips, candies, sweets and baked goods all fall into this category. These foods cause our blood sugar to rise quickly and carry few nutritional benefits aside from providing energy. While everyone, including diabetics, need carbohydrates for energy, choosing carbohydrate containing foods that are also high in fiber, such as whole grains, fruits and vegetables, can help keep your blood sugar well controlled by slowing down how fast the sugar is absorbed. Finding and storing food has become more of a challenge since the hurricanes. Without refrigeration, we tend to turn more toward the packaged, shelf-stable foods and walk away from perishable items, such as fresh or frozen produce. Most of us are also limited in our ability to cook and prepare meals so turning towards packaged snack foods may seem like the easier option. Check out my post all about beans for healthy meal ideas for the electricity challenged! Keep following me for more recipes and tips on how to prepare healthy meals in this post hurricane world! !